Having spent the better part of four decades working with local businesses, one thing I know is that they have always exhibited far more diversity of opinion than represented by the news media or associations portending to represent them. State and national associations often give a distorted impression to policy makers and news media by disguising that their misuse of the term small business is dominated by the concerns of companies with hundred of employees and tens of millions of dollars in revenue. Further distorting the views of small business, association legislative committees and related PACs are often hijacked by cabals of narrow viewpoints of formulaic-type businesses unrepresentative of the either the membership or businesses of that type in general. A quick check of their membership lists or board members, which reporters and elected official seem to rarely do before giving credence to their claims, reveals that most are using the term small business only as a disguise. 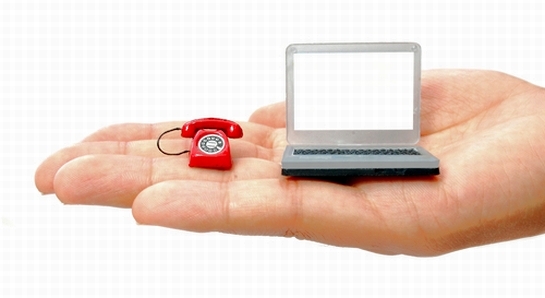 What most of us think of as small businesses are now called micro businesses. These have around 5 or fewer employees. The majority have annual revenues of $100,000 or less and most never want to grow beyond 10 employees. They are primarily sole proprietorships, far more likely than other businesses to be locally based with owners living in the same community as their business. About half depend at first, on another job. Half are based outside the home as they grow. About a third of microbusinesses depend primarily on locals for their business but 4-on-10 rely on a mix of locals and visitors including day-trippers from surrounding areas and clients outside the community. Micro businesses are the backbone and true drivers of local economies. In North Carolina where I live, micro businesses represent nearly 60% of all business establishments and more than 60% of those considered small businesses overall. Rarely are they members of local chambers of commerce which today are dominated by much larger concerns many with mid-level executives who are paid to attend meetings, many watching out for special interests. Chambers often complain that the threshold small and micro businesses can pay to be members is too low to provide the services they need. In desperate need of membership revenues they turn to larger businesses instead. Truly small or micro businesses rarely find time away from the cash register for meetings of any type, let alone getting involved in the push and shove of politics. Their voice is also not found in the positions taken by the U.S. Chamber of Commerce (no relation to local chambers) or most state chambers. Without typically charging a fee, community marketing organizations, most of which are apolitical, usually incorporate all businesses regardless of size under their promotional umbrella. The handful that still firewall benefits behind outdated membership models continues to shrivel. Guess which approach is more customer-driven? These are also the DMOs that are far more effective on behalf of the communities they serve. Of course, most community marketing organization migrated to or were founded with self-funding models years ago. That community marketing organizations incorporate small and micro businesses under their tent is significant because surveys show that to grow and thrive, their greatest need, outside of capital, is marketing. Showing the diversity of opinion among small and micro businesses are two Gallup tracking polls, one with Wells Fargo as a partner which uses a cut off of $20 million in revenues and a new one focused on truly small or micro businesses with Sam’s Club as a partner. The Wells Fargo definition captures 80% of all business establishments with employees, small to the size of a mega-bank maybe. The definition for Sam’s Club’s new tracker captures micro business owners which, according to Gallup, represents 80% of business owners overall including the 44% that do not employ anyone other than themselves. This excludes hobbyists or paper only businesses. Micro business is now far more representative of the definition of small business. Showing the pluralism of views among small business owners under either definition is a comparison of views regarding an increase to the minimum wage. The Wells Fargo index found that nearly half of those surveyed had no problem with raising the minimum wage. More than 4-in-10 felt it would help most small business employees and another quarter felt it would have little effect. A similar proportion believed it would have no effect on small business or might actually help them. Of course these findings escape those in Congress pushed to block the increase by those lobbyists who feign to represent small business there. Another more recent poll probed much deeper down into truly small businesses, including micro businesses in the state of New York, and found that 74% support raising the minimum wage and indexing it to rise with the cost of living. A similar percentage agreed that cities and towns should be able to set the minimum wage even higher. By political affiliation 45% identified themselves as Republicans, 40% as Democrats and 15% as independent or other. Republicans and Independents who lean Republican may claim they represent business but over time their numbers have included only about 4-in-10 small business owners, just a notch or two different than the ratio of those who identify themselves as Democrats. Survey findings by associations of the political affiliations of small business members often skew differently depending on the ideology the association uses to recruit members. But even polls of those that skew right show, for instance, that only 1-in-3 members express concern to elected officials with hopes of reducing and reforming government regulation. This hardly makes it the hot button issue that legislators in states such as North Carolina claim to justify gutting state and local regulations. Even polls by those in sympathy show that a far greater proportion of members just want existing regulations to be actively, fairly and evenly administered. Polls by less ideological associations including pioneers of the micro business definition show that more than 3-in-4 members felt regulations on the books should be enforced, especially those that an even larger ratio felt were important to protect business. While special interest “whiners” are using pretense to undermine the North Carolina Environmental Bill of Rights that voters embedded in the constitution by a vote of 7-to-1, it is clear they are not representative of North Carolinians in general or those who own small or micro businesses. Serious members on both sides of the aisle know that any concern about regulations is only solved by energetic, passionate, fair and even enforcement by the executive branch, unfettered by interference by special interests or legislative allies. Only 20% of micro businesses worry about regulations, a percentage similar to those who worry about taxes. Of more concern is consumer demand and the rising cost of supplies and materials. It is clear that a recent op-ed by a small business owner advocating for a more livable minimum wage is representative of the majority of small and micro businesses. More certain is that the viewpoints of small and micro businesses are far more pluralistic than the impression we're given.